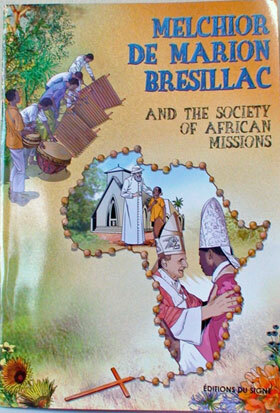 The SMA General Council has produced a further book on the SMA Founder, Bishop Melchior de Marion Brésillac, in order to make this wonderful missionary better known today. 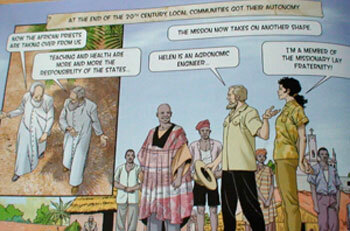 In a ‘Comic book’ format it also provides news of the work undertaken by his successors today. 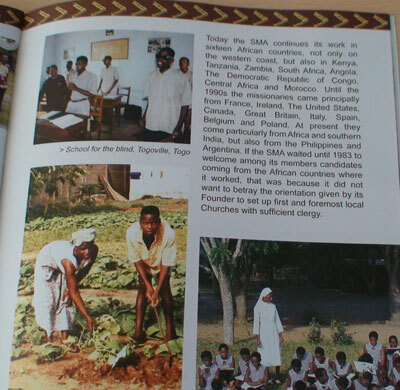 Its 55 pages give a colourful history of the SMA, yesterday and today! The first part – 39 pages presents the story in cartoon form. 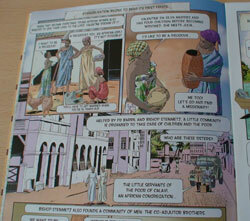 The second section – entitled ‘The African Missions’ is for those who prefer a more ‘narrative type’ presentation. Fr Jean-Marie Guillaume SMA, Vicar General of the Society, had overall responsibility for the production which will be distributed to all parts of the Society and to those who are interested in having a copy. If you would like to receive a copy of this very entertaining and enlightening production please contact the SMA at the following address: Rev AM Editor, African Missions, Blackrock Road, Cork City, Ireland.